Siding installation is one of the single biggest improvements you can make to your home. Not only is it something you can enjoy today, but it is something that will add value when you go to sell. Consider these ways that siding installation can benefit you. Siding is one of the first things people notice about your home. Quality siding protects the structural integrity of your home. New siding adds value to your home. A home with new siding will help you feel better about the overall appearance of your house. 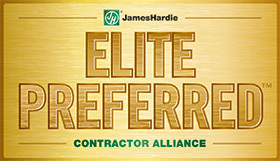 A company that excels at installing a wide range of James Hardie product profiles, providing you differentiated design options when planning your James Hardie project. Choosing Siding & Windows group as your siding contractor has never been easier and give you a peace of mind. Here at Siding & Windows Group, we offer two distinct types of siding for Palatine area customers. Take the time to learn about the options and choose the one that is best for you and your needs. Fiber-Cement Siding – Fiber-Cement Siding (including James Hardie Siding) is a durable, beautiful choice for your Chicago-area home. This type of siding is made from a blend of cement, sand a fiber. This siding is fire-resistant and adds value to your home. Plus, you can choose from many colors and styles. Vinyl Siding – At Siding & Windows Group, we specialize in Mastic vinyl siding. Everyone knows how easy it is to clean and maintain vinyl siding. However, today’s vinyl is also more attractive than ever before. Siding & Windows Group is your local Palatine siding contractor—offering solutions to help your home look its very best, and exceeding your expectations. 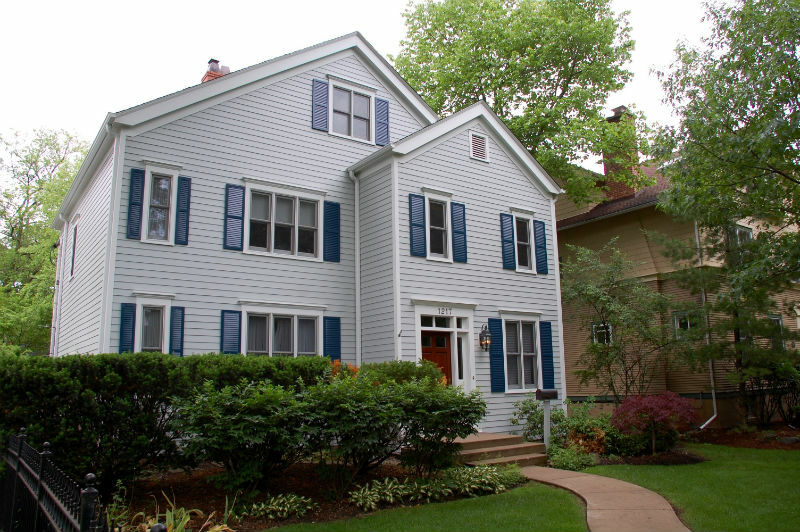 You could choose one of many siding installers to work with on your Palatine-area home, so why Siding & Windows Group? We pride ourselves in our workmanship and are recognized by Angie’s List and other local groups. Plus, we are not a fly-by-night contractor. We’ve been in business for over 30 years and will be around in the future too. Our products are all backed by excellent warranties too. If you would like to learn more about having siding installed on your home, or you would just like to ask questions about the process, don’t hesitate to reach out to us by phone or email. We are always here for you. Siding and Windows Group is a professional business…We have used them twice and plan on using them again for some more work in the future. I highly recommend this company.